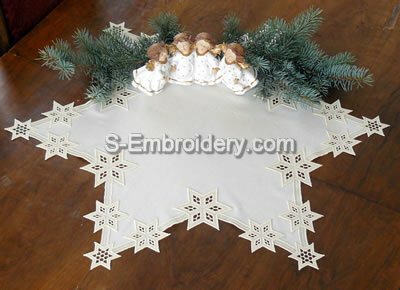 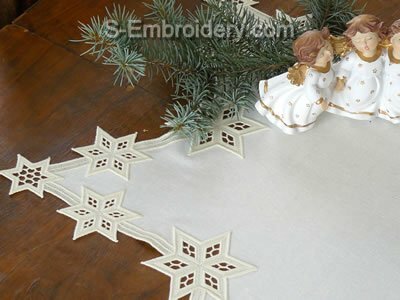 A free standing lace doily machine embroidery design in 4 parts which (in combination with suitable fabric) will produce a star doily measuring 25.5 x 30 inches (65 x 76 cm). 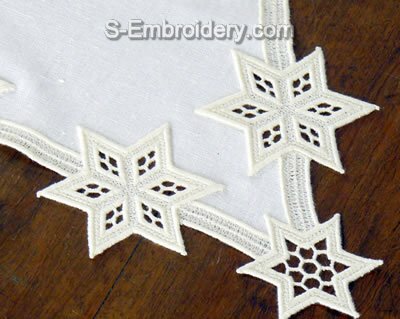 The set includes 4 machine embroidery files as well as design information and instructions in PDF format for preparing the doily, featured on the product page. 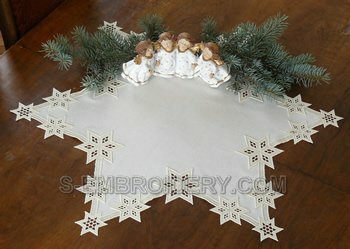 Note: The designs will NOT fit in 4x4 hoops.